A few weeks ago, I read the news that David Chase was planning to make a movie that would be a “prequel” to The Sopranos. A movie about the early days of the Soprano family sounds pretty interesting, but that is not what has me writing today. The news about the prequel movie made me think about Tony Soprano and the gang for probably the first time since the show went off the air, which was almost 11(!) years ago. And I realized something about Tony that never occurred to me before now. It is pretty well known that the Soprano Family was part of a large-scale criminal enterprise. However, any time Tony was asked about his line of work, he would always respond by saying he was a “waste management consultant.” This was his response because he obviously could not say he was a notorious criminal. But we also know that the Soprano Family controlled the waste management contracts in their North Jersey fiefdom. In other words, Tony Soprano was a government contractor! It would be a ridiculous exercise to explore this idea any further, but we’re already here so why not? First, I should say that I’m aware that the waste management contracts won by the Soprano Family are likely from a city or county, and not the Federal Government. Rather than try to figure out what the applicable procurement laws were in whatever county or municipality that was issuing those contracts, I’m simply going to use Federal procurement laws. I’m not even sure where I would begin if I wanted to apply the procurement laws of the fictional North Jersey towns the Sopranos were running garbage. Many state procurement systems copy the Federal procurement system anyway, so the results would probably be the same either way. In any event, for the purposes of this discussion, let’s pretend the (fictional) contracts at issue were Federal contracts. The Soprano Family would receive the various waste management contracts, which included cushy “no show” jobs for the high-level guys. This is how Tony was able to “legally” live such a posh life in the North Jersey suburbs; he was a well-paid Waste Management Consultant. I may not have all the details correct, but I think that is close enough to how the garbage scheme played out. Now, the show made it clear that Tony and his goons were guilty of numerous crimes, from petty larceny all the way up to first-degree murder. Although criminal law is a little out of my bailiwick, so I think I will stick to the government contracts related statutes and regulations. I figure there are several likely violations of Federal procurement law committed by Tony and his crews in running the garbage scheme. First, it is a pretty safe bet that someone in one of the Soprano waste management companies bribed one of the procurement officials. These companies would not be able to gouge the Government with inflated pricing for several decades without someone in the government agencies wetting their beak a little bit. So, there is likely some exposure under the anti-bribery statute (18 U.S.C. § 201). However, the chance that Tony Soprano was involved personally with bribing an agency official is pretty slim. So, while someone in the organization may be on the hook for bribery, Tony is probably in the clear. Next, there could be an issue of a false certification. It is very likely that these government contracts included FAR § 52.203-2, Certificate of Independent Price Determination (“Independent Price Clause”), as this clause is included in most Federal contracts. Under the Independent Price Clause, any submission of an offer is a certification that the offered prices have been arrived at independently without the purpose of restricting competition. This includes a certification that no attempt has been made to induce another company to submit or not submit an offer on the procurement. I think it is safe to say the Soprano Family’s garbage scheme violated the Independent Price Clause several times over. Strong-arming potential bidders out of the competition, by itself, is enough to violate the clause. However, unless Tony actually signed the offer submitted to the agency, or was specifically named in the Independent Price Clause, he really would not be on the hook for false certification. And, it is safe to assume Tony would not allow his name anywhere near the actual offer submitted to the Government. So, Tony is probably in the clear on this issue, too. However, Tony might not be so fortunate when it comes to the False Claims Act and its related criminal statutes. All it would take is one whistleblower to come forward and make a False Claims Act case against the Soprano Family waste management companies, and Tony could find himself in a world of hurt. Tony might be insulated from the initial action, given his unofficial role within the companies. The initial civil False Claims Act action would be filed against the waste management companies and the individuals actually responsible for the submission of false claims. Because Tony is only a “consultant” to his waste management company, he likely would not have had any direct connection to the submission of false claims. Thus, he may not actually be named personally in a civil False Claims Act action. In any event, this would surely hit Tony in his wallet, and jeopardize his main source of legitimate income, which would surely be a welcome byproduct for law enforcement. However, even if Tony was not personally named in a civil False Claims Act action, he could find himself caught up on the criminal aspect of a False Claims action. This could probably play out in a number of ways involving any one of a half-dozen criminal statutes. But one that comes to mind is 18 U.S.C. § 286, which provides that any person that enters into a conspiracy to defraud any agency of the United States by obtaining payment under a fraudulent claim shall be fined or imprisoned for up to 10 years, or both. Uh oh, I hope Tony has a good lawyer. Because, it is pretty clear that even if Tony’s name is not on the offer submitted to the Government, and even if Tony was not personally involved with submitting false claims to the Government, his fingerprints are all over the scheme to defraud the Government through the inflated garbage contracts. The Government would very likely try to include Tony in an indictment for conspiracy to defraud the Government under 18 U.S.C. § 286. I say the Government would “try” to include him in an indictment because I would still imagine the chances of Tony getting caught up in the False Claims action would be pretty slim. The entire case against Tony hinges on a whistleblower brave enough to identify Tony as the mastermind behind the entire scheme. It is not like Tony would allow a paper trail to exist, so to prove Tony’s involvement the whistleblower may even need to wear a wire and get Tony discussing the garbage contracts. Even if such a brave soul existed, we know how the Sopranos dealt with government informants (hint: they were not long for the world). But, given that the garbage scheme is one of the more benign scams run by the Soprano Family, it is possible Tony could see it as a non-issue and let his guard down. 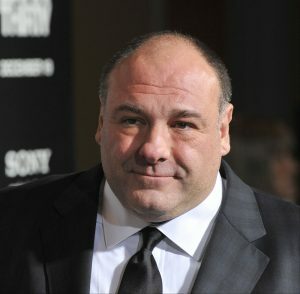 In any event, it is interesting to think that after all the terrible things Tony Soprano did across the six seasons of the show, he could be taken down over some government contracts. If he had survived the final scene, that is.